Designed by physicians to reduce writing fatigue. 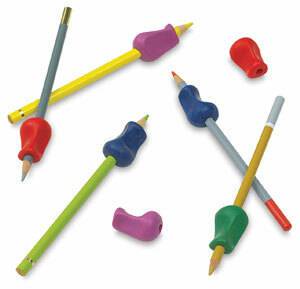 Colorful, soft rubber grips fit over pencils, pens, crayons, and other tools, including some brushes. Also help small fingers hold tight. Assorted colors.